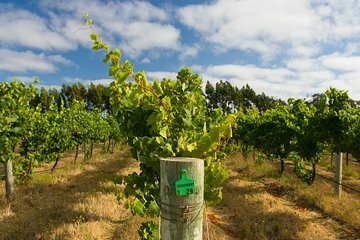 Explore southwestern highlights with this diverse full-day tour to the Margaret River winemaking region from Perth. Along the way, visit the record-setting Busselton Jetty and Cape Leeuwin Lighthouse, where the Indian and Southern Oceans meet. Enjoy a platter lunch and cider samples at a boutique brewery, and stop at a historic winery to taste the region’s renowned vintages. You’ll also learn about the area’s ancient geologic history as you wander through the magnificent formations of Mammoth Cave. Take a full-day detour from Perth to discover the many delights of Margaret River and the southwest. After morning pickup at your hotel or a central meeting point, travel aboard a comfortable coach on the approximately 3-hour drive south. Along the way, stop to stretch your legs and enjoy morning tea (own expense) at Busselton Jetty, the Southern Hemisphere’s longest wooden jetty. Farther on, settle into a table at Bootleg Brewery for craft beer and cider samplings and a gourmet platter lunch. 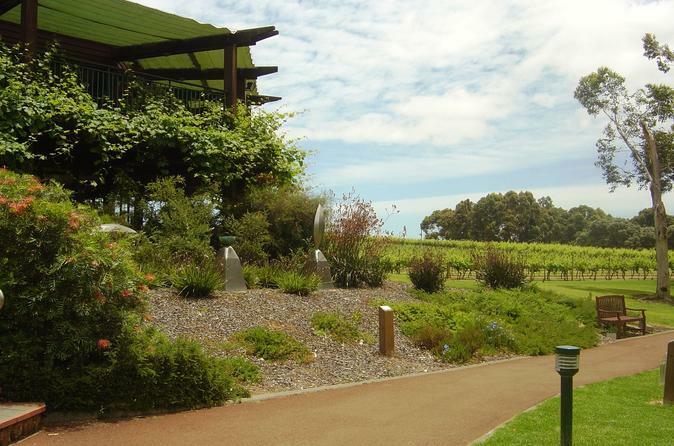 Next, taste some of the region’s famous wine at the award-winning Sandalford Winery, which was established in Western Australia in 1840. Stroll around the picturesque grounds and purchase a bottle to take home if you like. In the afternoon, explore Margaret River’s natural attractions. Admire spectacular limestone formations and learn about the area’s ancient geologic history on a guided tour of Mammoth Cave. Drive through the scenic and serene Boranup Forest to Australia’s most southwesterly point, marked by the Cape Leeuwin Lighthouse. See where the Southern and Indian Oceans converge, and spot native wildlife such as sea lions, dolphins and rock parrots on a heritage trail walk. Circle back to the township of Margaret River and enjoy a bit of free time to browse shops along the main street. On the drive back to Perth, stop for dinner at a local restaurant (own expense), before your full-day tour concludes with hotel drop-off in the late evening. Great trip. Easy pick up and drop off location. Nice Driver Tour guide with clear commentary.Great for the first time visitor in Perth. Recommended! Loved seeing all the hot spots of Western Australia and Margaret River, the caves, the lighthouse and the seas. I feel the ending part was not needed like going to the town of margaret river everything was closed and not necessary for dinner at hotel at the end. We had a limited time in Perth. This tour had so much crammed into a day tour. We visited the Busselton Jetty, had lunch at the Bootleg Brewery and also tasted a variety of beers and cider. We then went on to Sandalford Winery for wine tasting. From here we took a guided tour of Mammoth Cave. We left here to see where the Southern and Indian Oceans met at Cape Leeuwin Light House. We saw beautiful coastlines along the way. We had dinner at a lovely resort on the way back to our hotel. This tour would have been better if over two days but because we had a limited amount of time in Perth it suited us. We started early in the morning and didn't get back to our hotel until after 10pm. Long day on the bus but the overall experience was good especially seeing the cave. Bootleg Brewery and Margaret River stops too long and not long enough in all others. Dinner at Abbey Beach just ok. Guide was excellent. Definitely a day tour to go on. Experienced a bit of everything on this trip. Our driver was very knowledgeable and the stops were very interesting. Definitely would not have been able to pack this much into a day if I was driving myself, and had some lovely company as well. Great trip, a long day - saw alot of south WA would not ordinarily see. Busselltown a real highlight. It is a great tour, but a very, very long day. I would suggest overnight stays are better options. A very good trip, it gives you an insight into this area, however, it is slightly rushed, as places are so far away from Perth. I had read reviews before booking, so knew what I was letting us in for. it would be nice to have time to walk along the jetty at Bussleton and go into Cape Leeuwin lighthouse. All quite rushed, but a good trip. Very long day.